Generations Riviera Maya, by Karisma was looking for a way to draw multi-generational families to their resort. With luxurious one-bedroom, two-bedroom and three-bedroom luxury suites, their award-winning Gourmet Inclusive® philosophy, and activities for all ages it is the perfect resort to meet everyoneâ€™s needs. 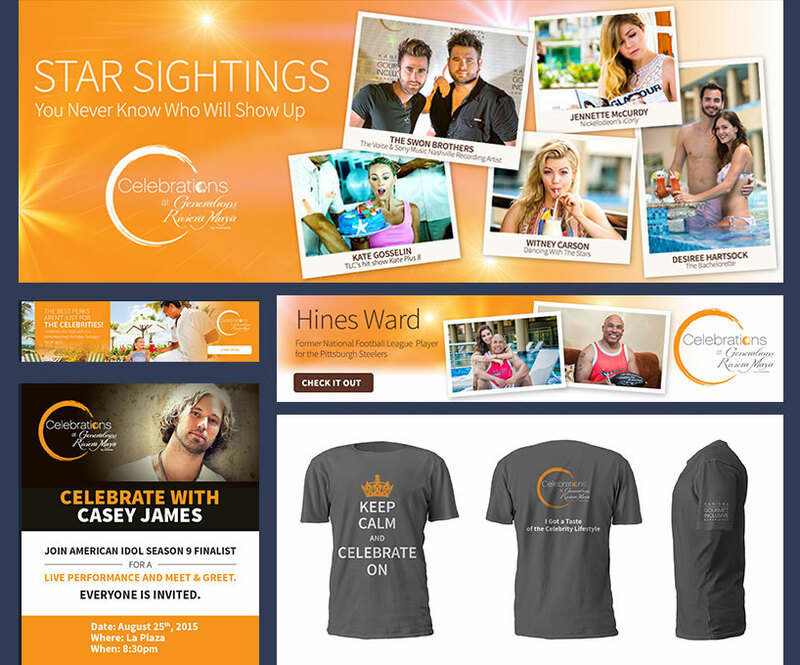 Alliance Connection was tasked with generating exposure and bookings for the resort in a new and exciting way. 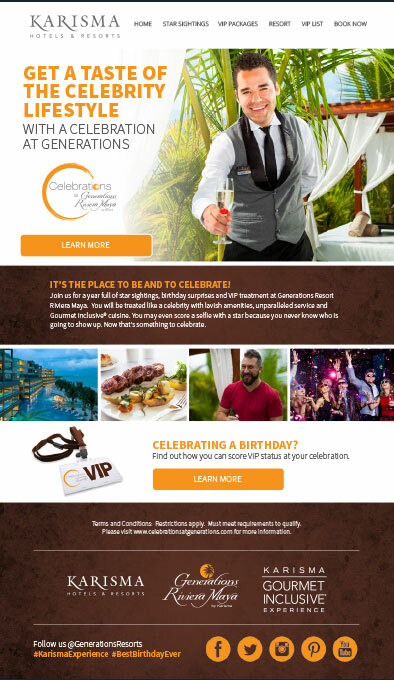 We identified the top reason that multi-generational travel occurs and created a branded promotional program Celebrations at Generations Riviera Maya which embraces those milestone moments that families celebrate together on vacation. Everyone likes a good party - especially celebrity influencers. Armed with this knowledge Alliance Connection invited celebrities to celebrate their birthday VIP style in exchange for social media posts, photos and video liners. Guests were invited to celebrate star style with the Best Birthday Ever and Star for a Day VIP Birthday packages where we rolled out the red carpet with lavish amenities in a complimentary package for families reserving a 2-bedroom suite. Alliance Connection designed and created the program website, email marketing and on-site marketing for the Celebrations at Generations program. In 2017, we are expanding the marketing to additional celebrations with even more exciting package amenities and star surprises. 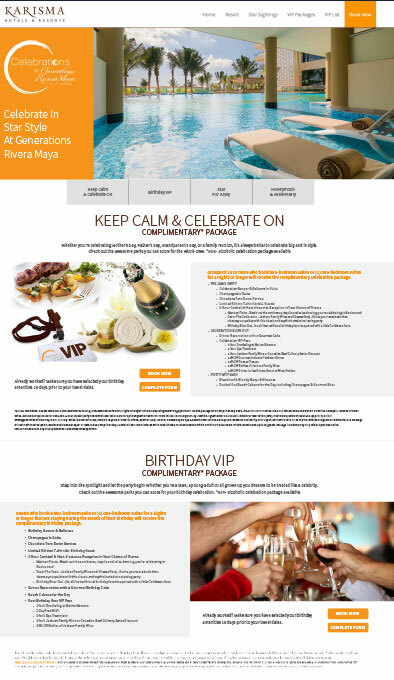 Everyone is invited to celebrate like a star and with the stars, at Generations Riviera Maya. Guests are invited to vacation star style and are treated like a celebrity with lavish amenities, unparalleled service and Gourmet Inclusive® Cuisine. They may even score a selfie with a star because Generations Riviera Maya is the place to be and over 25+ stars a year celebrate here.